The finalists in the Spirit of Speyside Whisky Festival Whisky Awards have been named – and the shortlist is dominated by the giants of the region’s malt whisky industry. Judges put two entries from both Chivas Brothers and Diageo through to the final round, along with an entry from William Grant and Sons. The shortlist is completed by with a malt from independent whisky merchants and bottlers Gordon and MacPhail, operators of Benromach Distillery. The final rounds of judging will be staged during the annual five-day Festival, which this year takes place from April 30 to May 4. Unusually for a whisky awards scheme, members of the public are asked to determine the winners by casting their votes in blind tasting sessions. Six finalists were selected from a total entry of 37 submitted by distilleries across Speyside. In the category for malts under 12 - or with no age statement - the finalists are Cardhu Gold Reserve and Strathisla 12 years. The 13 to 20 years section is between Aberlour 18 and Glenfiddich 18. GlenSpey 21 will go head to head with Benromach 30 in the category for over 20 years. A panel of 10 industry experts, leading whisky writers and retailers determined the final shortlist at a special tasting at the Knocomie Hotel in Forres, Speyside this week. Whisky author and hotelier Penny Ellis, chairman of the judging panel, says, “It was a very challenging session, with some clear favourites and some very close calls. The 12 and under category had a very diverse spread of aromas and tastes, and something to suit different palates. “The 13-20 years was the hardest category to judge as the entries had some very similar profiles. In that category we had to take two entries to a taste-off, and I stepped out as a judge to ensure that there would be a majority vote. The over 21 years category was fabulous and it was great to see some lesser known distilleries and smaller operators making their mark. There will be a number of roving judging sessions during the Spirit of Speyside Whisky Festival and visitors will be able to try all finalist malts before voting. This will also be a blind taste test so that they cannot be influenced by brand loyalty or awareness. Festival director Laura Sharp said that allowing the public to vote on the winners was extremely important to the event, and to the participating distillers. She adds, “Our judging panel may help to educate and form opinions about whiskies in their-day-to-day roles, but it could be said that consumers are the real experts as they ultimately have the power to make or break through their buying preferences. The final judging session and awards prize-giving will take place at the closing ceilidh on Sunday, May 4. Tickets for all events in the 2015 Spirit of Speyside Whisky Festival programme, including the roving judging sessions, can be bought via the website – www.spiritofspeyside.com from February 3. 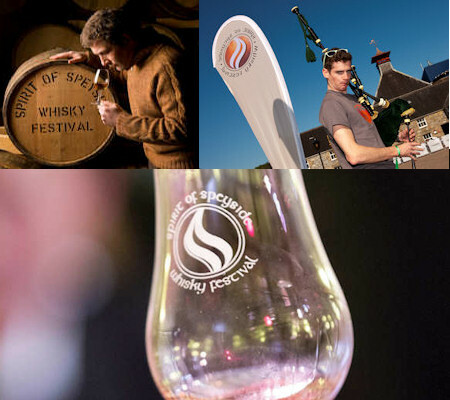 The Festival is also active on social media – facebook.com/WhiskyFestival and @spirit_speyside on Twitter.